Today, Friday the 13th, Kidrobot is releasing the hotly anticipated The Clairvoyant 8” Dunny by J*RYU!!! 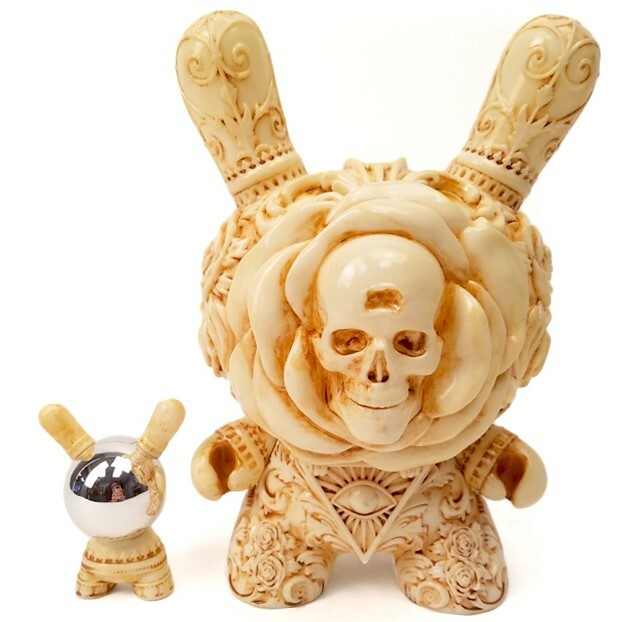 The Clairvoyant Dunny features an insanely detailed new sculpt with a distressed painted application and includes a really cool 3” Crystal Ball Dunny accessory. This mysterious fortune teller arrives to reveal the secrets to the future....and the Dunny platform! 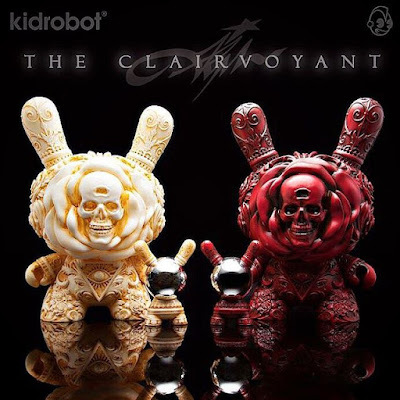 The Clairvoyant Dunny 8” Vinyl Figure by J*RYU will be available in two colorways, Ivory (which will be available at your favorite designer toy stores around the world) and the Kidrobot.com exclusive Rosewood variant. Both versions go on sale today, January 13th, for $99.99 each.